Imagine what a symphony must sound like to the conductor of an orchestra. Audience members simply hear the performance coming from the stage, but the conductor is assaulted by sound. Strings surround him on all sides, the percussion pulses in the distance to his left, and the horns blare at his face, making the hair on his neck stand on end. A chill runs up his back as the acoustics of the performance hall launch echoes and reverberations at his back. Now imagine you were able to walk on stage and stand with him in the middle of the performance. This is the promise and potential of multichannel audio -- unlike standard recordings, multichannel audio is designed like a film's surround sound mix. Instruments are placed at specific points in the soundscape, crowd noise can come from the direction of a virtual crowd, and the acoustic properties of a room can extend the music throughout the soundfield. It's this natural progression of high-def audio technology that's behind this HD DVD release of 'Uncommon Bach,' the very first multichannel audio release on either high-def format (at the time of its release). Released by independent distributor Surround Records, 'Uncommon Bach' is produced by Alexander Golberg Jero, a man who has apparently built a career around creating synthesized symphonic covers of classical composers and famous musicians. In his HD DVD debut, Jero focuses his keyboards on pieces originally orchestrated by 17th century German composer Johann Sebastian Bach. The disc itself is barebones to say the least. There's no true "video" to speak of (other than a series of static photographs that change every ten seconds or so) and none of the menus or options common to most next-gen releases. Instead, the first of the disc's eleven songs automatically begins playing as soon as the disc loads, and when it reaches the end, the music and video automatically loops for continuous play. Honing in on the music itself, it's easy to see why Jero was drawn to the lush intricacies of Bach's compositions for this project. The complicated interplay of synthesized lines that mark Jero's work are quite complimentary to Bach's compositions. And to his credit, rather than choosing any of the master composer's more obvious works, Jero selected eleven fairly obscure pieces that aren't likely to be familiar to most audiences. As a fan and collector of classical music, I was personally excited by the prospect of being introduced to some "new" compositions that I'd not heard before. Unfortunately however, I found the tracks included on 'Uncommon Bach' to be some of the most uninspired renditions of classical works that I've encountered. Bach's music has always been soft and relaxing -- but I never found myself bored by it until I had to plod along with Jero on his journey. His first mistake is that the eleven songs he chose are too alike. There isn't any major melodic definition or rythymic variety to set the pieces apart. After a while, it began to feel like I was simply listening to several sections of the same song. As far as Jero's actual performance, fans and critics of classical music are split down the middle -- some are intrigued by the unique approach of his interpretations, while others (including me) fail to see where he does anything more than synthesize the original music. His new versions sound so much like the old that I often found myself wondering why he spent so much time reconstructing them in the first place. Remember when Gus Van Sant remade 'Psycho' in 1998, shot for shot? 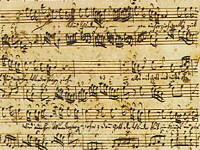 'Uncommon Bach' feels similarly stale -- Jero just doesn't seem to weave enough of himself into this retread. To top it all off, the sound of the synthesized music didn't win me over either. While the notes are technically succinct and the performance nuanced, Jero's synthesizers aren't advanced enough to replicate the variances in flute melodies, the bounce of drum beats, or the resonance of a line of trumpeters. Instead, much of his synthesized music sounds more like a series of lengthy ringtones on a cell phone than anything else. In short, as a classical music fan, I was looking forward to listening to 'Uncommon Bach,' but ultimately I felt this disc failed to back up its unique concept with quality musical content. Fans of earlier Jero's work may appreciate his synthesized take on Bach, but I recommend all others approach this one with extreme caution. 1. BWV208 - "The Lively Hunt is All My Heart's Desire!" 2. BWV1 - "How Beautifully Shines the Morning Star"
3. BWV3 - "Oh God, How Much Heart Ache"
4. BWV10 - "My Soul Magnifies the Lord"
5. BWV33 - "Heir, Jesus Christ"
6. BWV225 - "Sing Them to the Lord"
7. BWV525 - "Trio Sonata in E-flat Major"
8. BWV530 - "Trio Sonata in G Major"
9. BWV592 - "Concerto in G Major"
10. BWV812 - "French Suite No. 1 in D Minor"
11. BWV831 - "French Overture, No. 3 Gavotte"
Presented in 1080p with the MPEG-2 codec, as mentioned above, the "video" of 'Uncommon Bach' consists of a series of floral photographs that change every ten seconds or so. The images are certainly colorful and sharply detailed, but they add little punch to an already dry presentation. Even more surprisingly, there are several irritating video issues to report. Not only is there obvious pixilation in some of the photos, but there's obvious video artifacting and macroblocking throughout the course of the flower loop. At first I thought I was noticing artifacts on the photographs themselves, but then I realized they were shifting even when the image was perfectly still. Even more bizarre is the resolution discrepancy that occurs between some of the photographs -- often times a picture will skip a few beats of its entrance or exit fade. The resulting effect is ugly and jarring (at least for someone staring directly at the video for longer-than-average periods of time). Worst of all, on-screen words and labels continually sit on the screen without moving. The title and subtitle of the HD DVD is shown in overbearing lettering along the bottom of the screen and a DTS-HD logo sits throughout in the top right corner. These elements not only add an annoying eyesore to the already limited presentation, but they provide a severe problem for people who need to worry about burn-in on their plasma screen televisions. In preparation for this review, I sampled several previously-released standard-def DVD multichannel releases, and was quite struck by the sensation -- done right, notes bounce from one speaker to the next and provide a soundfield that convincingly fools the ear. Unfortunately, despite this disc's much-touted "Three-Dimensional Listening Experience," 'Uncommon Bach' once again disappoints. Surround Records has included a DTS-HD Lossless Audio mix which provides an enticing enough tech demo for the uninitiated -- at least for the first five minutes. 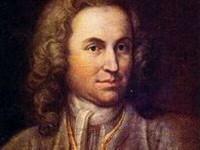 But compared to other previously-released multichannel releases, 'Uncommon Bach' is flat and unimpressive. There aren't any notable tones present in the speakers, pans are mechanical (and rare) and any semblance of dynamics have been tossed out the window. Treble tones are round and flat, while bass booms are soft and dull -- I might as well have been listening to 'Uncommon Bach' underwater. Making matters worse, the instruments feel as if they're crowding the soundfield -- the resulting soundscape doesn't feel spacious and the sound design fails to create the illusion of source distance (bells and flutes appear to originate at the same distance as heavier instrumentation). In short, I'm sorry to say that those interested in listening to 'Uncommon Bach' as a way to experience multichannel audio are likely to be better served by other multichannel audio releases on standard DVD. Although it promises a "three-dimensional" audio experience, a lackluster presentation and weak DTS HD MA mix make 'Uncommon Bach' easily one of the most amateur-hour music discs I've had the displeasure of reviewing. 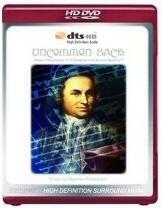 Even rabid fans of Bach's compositional genius should avoid this HD DVD at all costs.